Local Natives will headline the Audiotree Music Festival in Kalamazoo today. Indie music lovers will rejoice today with the start of Kalamazoo’s Audiotree Music Festival. The two-day music festival kicks off at noon in Arcadia Creek Festival Place and features nearly 30 artists on two stages. 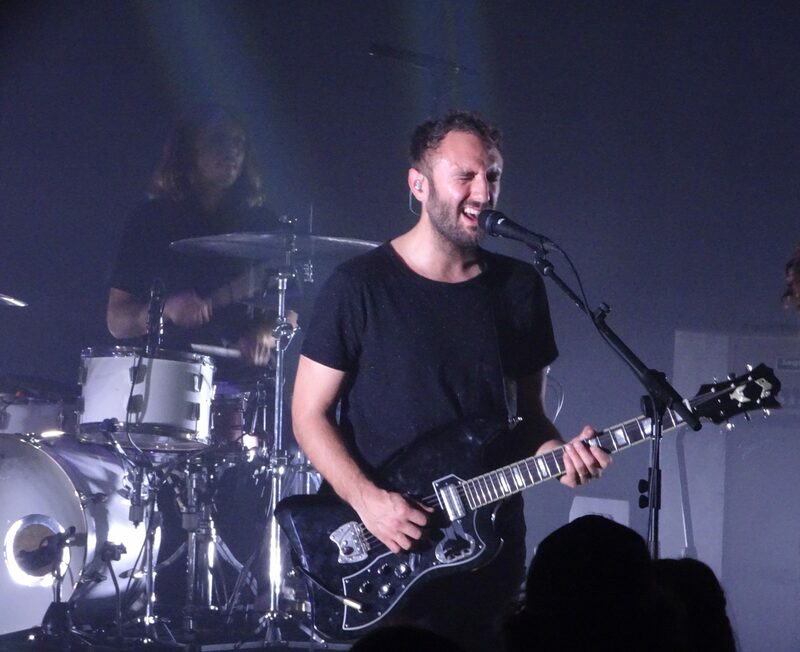 Denver psychedelic pop group Flaural will open the festival on the WIDR Discovery Stage while Los Angeles indie rock quintet Local Natives will perform a headlining set on the Main Stage. New Jersey indie pop quintet Real Estate and Los Angeles indie folk rocker Father John Misty (aka Josh Tillman) will headline on Sunday. Founded in 2013 by Kalamazoo natives Michael Johnston and Adam Thurston, the Chicago-based, Michigan-born Audiotree Music Festival celebrates new and emerging artists and is curated by the popular web music series Audiotree Live. In 2015, Audiotree purchased two Chicago venues, Schubas Tavern and Lincoln Hall, adding a live concert booking, promoting and streaming division to the company. Since 2011, Audiotree’s online following has grown to include more than 350,000 YouTube subscribers. Now, the Audiotree Music Festival is expanding the match the scale of the entire company. Festival artists Basement, Palm, Common Holly, Chicano Batman, Post Animal, NE-HI, Melkbelly, Stuyedeyed and Flaural have recorded projects with Audiotree in the past. Each festival performance will be livestreamed and released later as standalone videos. This year, Audiotree has teamed up with WIDR (89.1 FM), Western Michigan University’s college radio station, to add the festival’s new Discovery Stage and feature 12 more bands throughout the weekend. 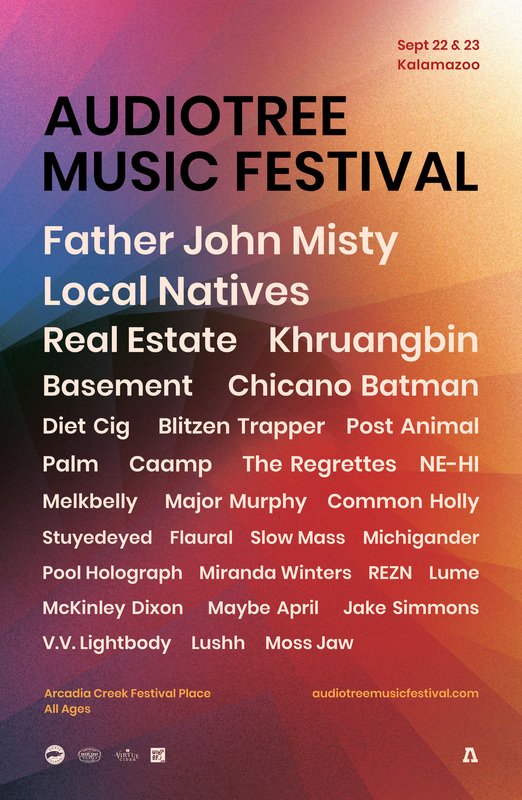 Several West Michigan-based artists, including Michigander, Moss Jaw, Major Murphy, Lushh and Jake Simmons & The Little Ghosts, will perform on both festival stages throughout the weekend. Audiotree also will offer a variety of craft beer, food trucks and specialty vendors from the Kalamazoo area. The festival is open to all ages, and children under age 10 will receive free admission with an adult. Tickets are still available for this weekend’s Audiotree Music Festival. Single-day tickets start at $45 while two-day tickets start at $80.